600,000 Samsung Galaxy Tabs Sold | Android Blast! 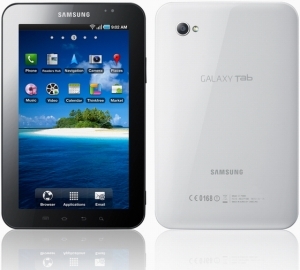 According to the Korean newspaper The Korean Herald, Samsung has sold 600,000 units of its Android-powered Galaxy Tab. If these numbers are correct it will definitely be the most popular Android tablet to date. In Samsung’s home market in Samsung apparently sold 30,000 Galaxy Tabs in Korea during the first week of availability. How will the iPad fair in Korea? "In Korea, the American tech giant is slated to begin sales on Nov. 30. Apple’s local distributor KT Corp. said it has taken more than 40,000 pre-orders in less than a week."